It has now been a good 8 months since I became a mother! How is that possible?! Being a teacher and a mom is a crazy and incredible thing! You get to love on 28 kiddos all day and then you come home to love on your own! Now, I am very blessed and lucky because I am only teaching part-time. 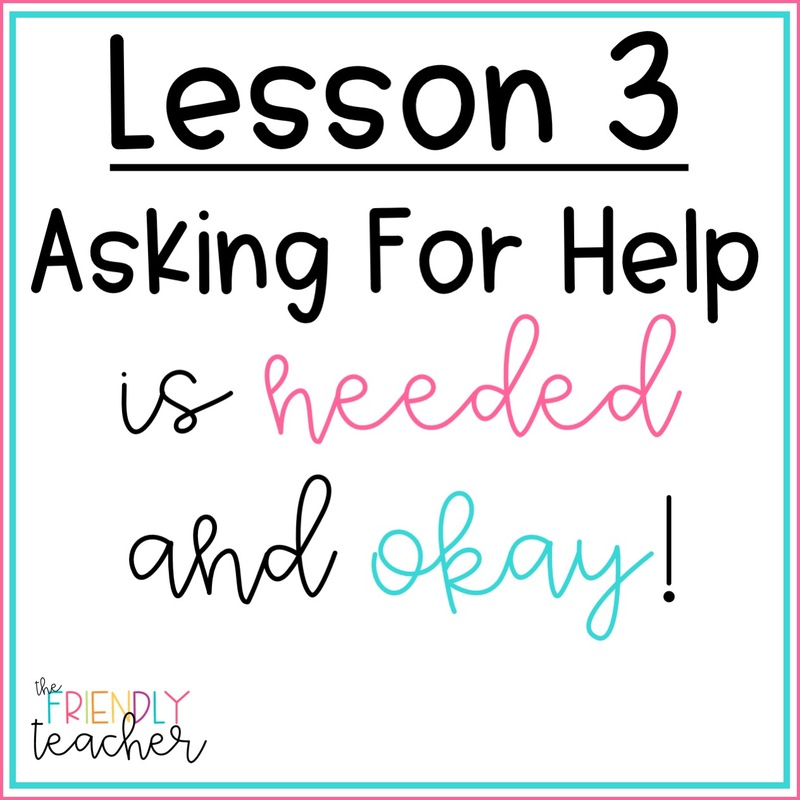 But no matter what, being a teacher mom isn’t always an easy thing! 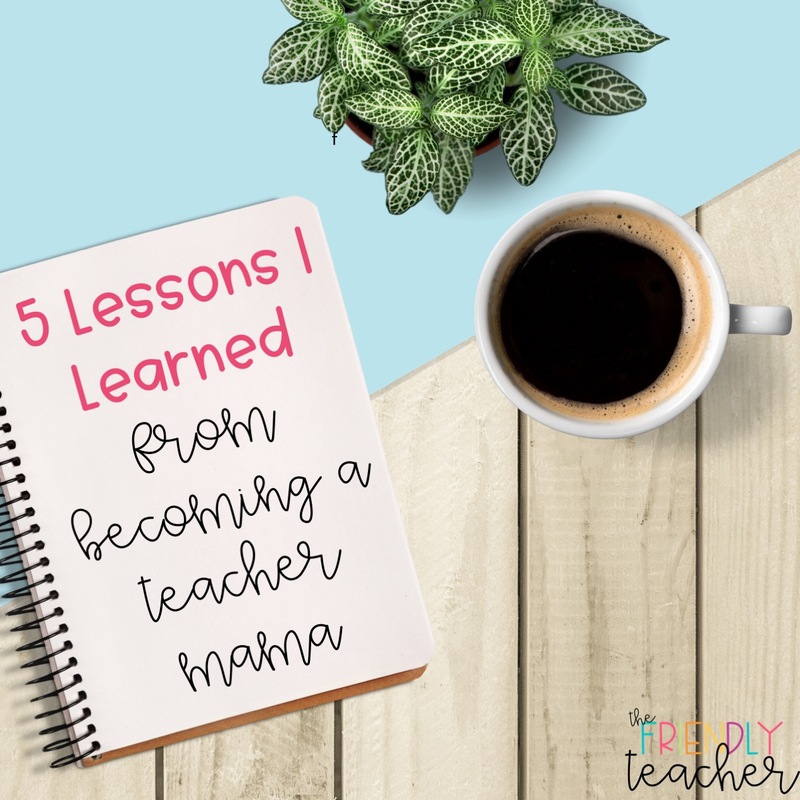 Today I wanted to give you a little update and share with you five things that I have learned being a teacher mama. I don’t think I need to tell you this, but teachers take a LOT of work home. 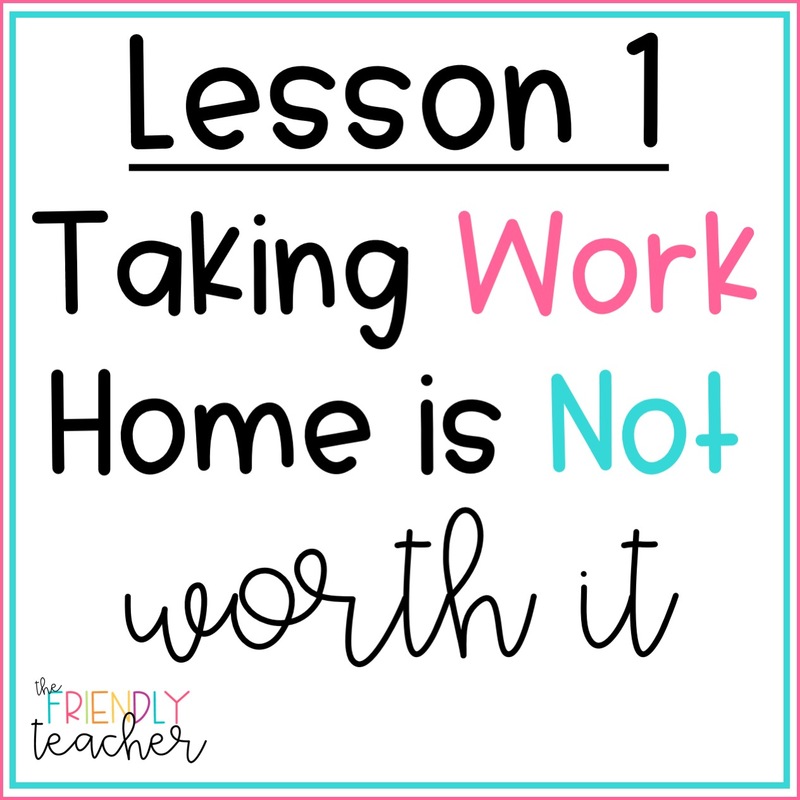 I hear teachers talking about how they spend hours and hours on work at home. Since having a baby of my own I have realized that you don’t have to do this and it is not worth it. I am here telling you and giving you permission to leave it at school. Work your hiney off during the hours that you are contracted and then get home to your babies. That to-do list will always be there!! Maybe the task cards didn’t get laminated, but the kids learned just as well. 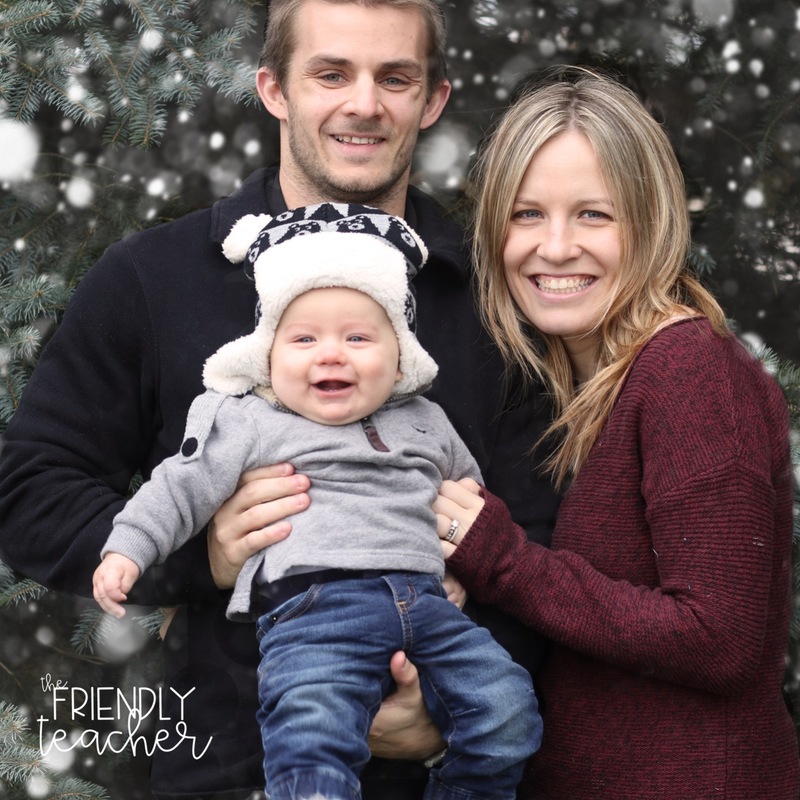 Maybe you had to teach the same lessons as last year because you didn’t have time to find new plans, but you got to spend uninterrupted time with your family! Something happens when you make a declaration to leave work at work. You begin to realize that you can get it done when you feel like you have to. What NEEDS to get done, gets done. The other stuff was just fluff anyways. This has been SO much fun for me! My kids adore my babe! They love asking questions and hearing about what is going on at home. I didn’t realize before having a kid how important it was to bring your home into the classroom. 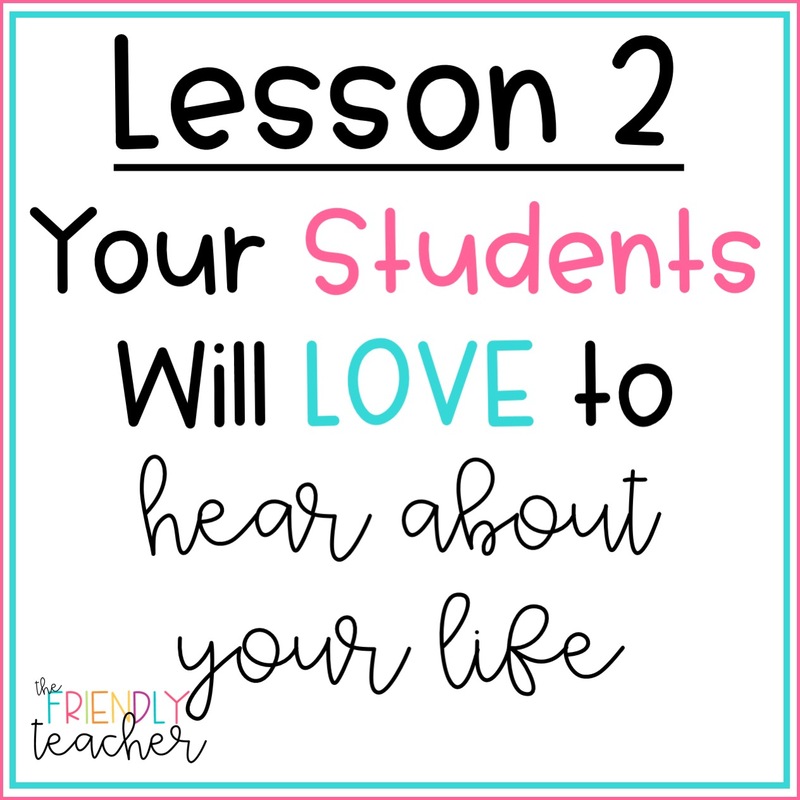 So, even if you don’t have a kiddo, share your life with your students. 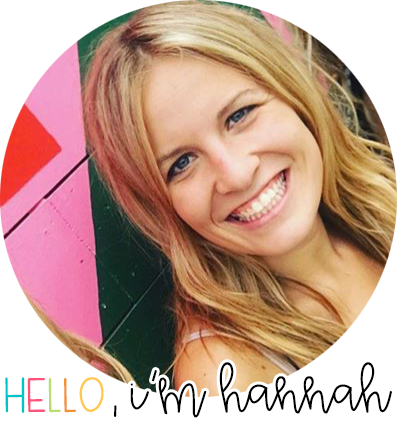 They want to know you and it makes your time at school feel more closely connected to your life at home. 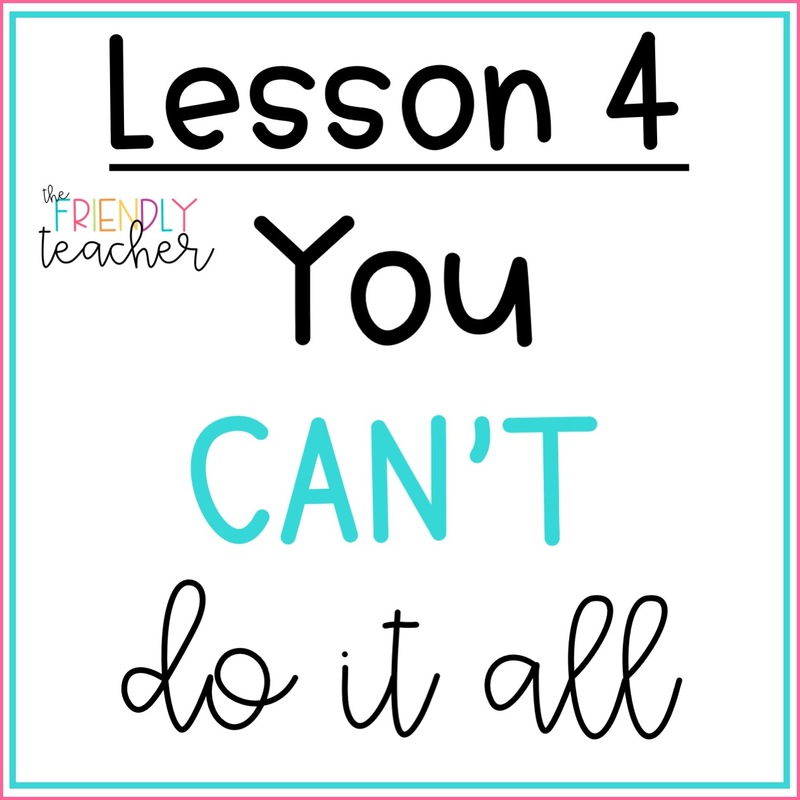 Something that both moms and teachers having in common is that they both think they can and should do it all alone. You need a community to teach your students and a village to raise your baby. Think about what you do WELL and what you struggle with. Have people help you with what you struggle with and do what you love to do. 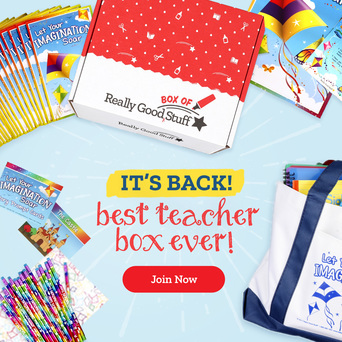 Have parents in your classroom help you with things like craft prep, cutting, etc. Send home what you need cut and they will do it. Oftentimes you just need to ask because you would be surprised how willing and excited parents are to do these things. They love doing it with their kids and showing them how to be apart of the community. Have students check their own work if it isn’t going into the grade book. Work with another teacher to prepare lesson plans. Ask her if she can copy all the reading and you could copy all the math, etc. When you bulk work it actually goes faster! Better yet, see if a parent would be willing to come in and copy for you! Have your students do as many tasks as possible. My students pass out all papers into cubbies, sharpen pencils, take out the trash, sweep the room, charge the iPads and computers, get the lunch count ready for the day, get my computer set up for reading centers, and more! Your students are capable of SO much and it is SO good for them to have responsibility and work hard. You don’t have to grade everything! 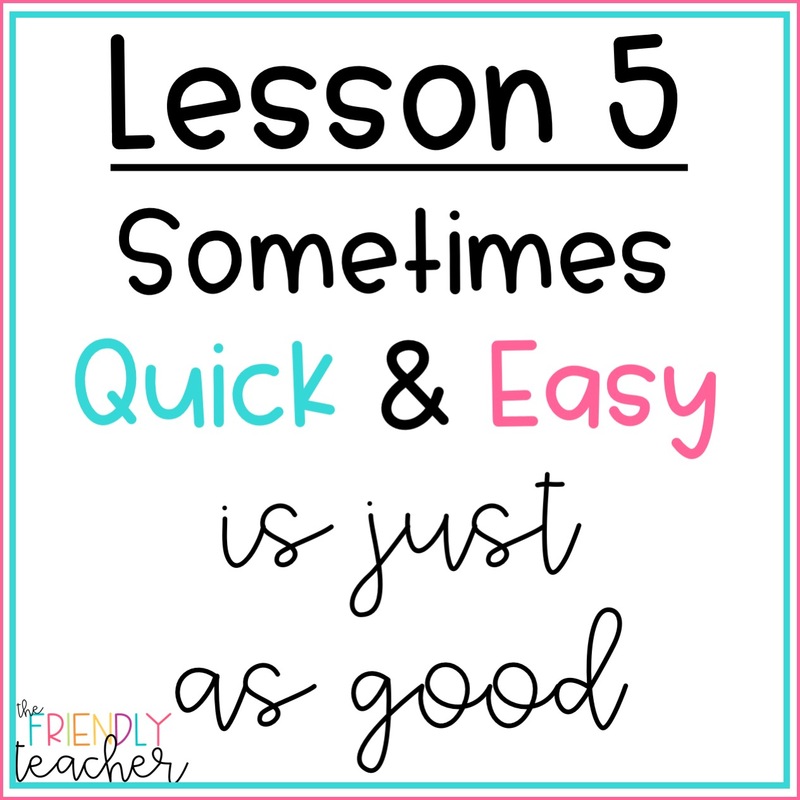 It is okay to just do a quick check! You don’t have to print everything in color and laminate it! My first few years of teaching I said YES to everything! A new committee? Yup, I got that! Extra lunch duty? You can count on me! Someone to lead our fundraisers? Oh, I love to do that! You need me to help you with your lesson plans?! Of course! Honestly, everyone knew that I would say yes and I am betting that some of you are known for that too! Since being a teacher mama I have realized that doing it all is not a real thing. You have to pick and choose and you have to say no. When someone asks me to do something extra at school I ALWAYS ask for a day to let them know. If I have 24 hours I know that I will know if this is something that I need to do or not. Then, I only say yes to things that light my heart on fire. If I can help with something that I know I am good at I will do it! But if it is something that I know someone else would be better for I politely pass. I also check to make sure I don’t have too many commitments and the job doesn’t take away from my students or family. My first priority is my family and students and the extra busy work isn’t needed. This isn’t to say I don’t help out at school because I still do OFTEN. But I have learned to say no more and yes less. I have learned that when you don’t say yes to things you hate you free up time to do things you love. I love a transformation or a lesson that is engaging! If you read one post on here you will know that. But I used to spend hours and lots of money to complete something for my kids. Since having a kid of my own I don’t have the money to spend on my classroom and I don’t have the extra hours to set up extreme transformations. But I have realized that I can throw something up in 15 minutes with little to no money and my kids are just as happy! They are just as amazed and just as engaged! For example, I wanted to do a surgery lesson this year. Instead of transforming my room into an entire hospital, as I would have before, I just threw some paper that we had in school on the desks. I drew a person on the paper. I also hung some X-Rays around the room and pulled up the EKG sounds on youtube. It took me 10 minutes and my kids LOVED it and talked about it all day! It was free, it took little time, and it was just as engaging. Sometimes making something that you see on Instagram or Pinterest is AMAZING! But sometimes you have to realize that it is just as good to do something simpler and your kids will be just as engaged! I know that I am going to learn so many more lessons on this journey of being a teacher mama and I can’t wait! This has been one of the most incredible, humbling, and greatest experiences of my life!